Since 2017, Carey Allen is executive vice president and business line manager of Kiewit Water Facilities South Co., based in Dallas, Texas. Carey is responsible for directing strategic business alliances and opportunities for this new district with a stringent focus on water/wastewater treatment facility work in open shop states. 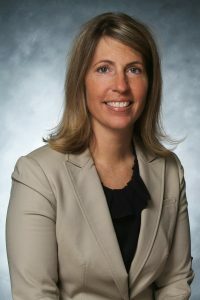 Prior to her current role, Carey was director of proposal services for Kiewit where she had executive oversight of this marketing and business development shared service. She and her team helped grow infrastructure win rate from 24% to 52% over a five-year period. She joined Kiewit in 2008 during the acquisition of TIC Holdings and Western Summit Constructors, Inc. Carey has 25 years of municipal and industrial related construction and business development experience. She is a graduate of the University of Nebraska-Lincoln and is a board member for the Executive Women’s Golf Association.